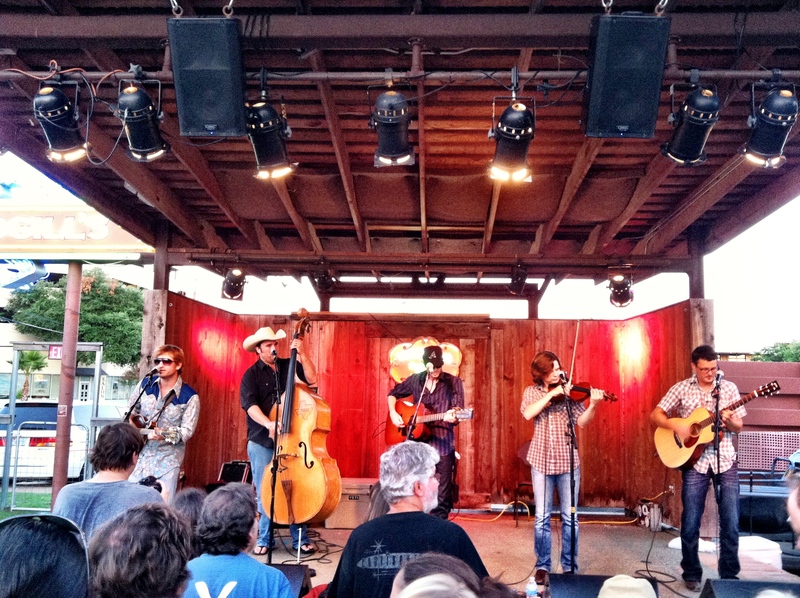 The Boys Are Back In Town: A Reunion South Austin-Style! Great bands come. Great bands go. Some break up. Some fizzle out. Some are just so freakin’ talented, individually, that they realize the desire to spread their wings on their own, soon finding no time to play together in the original band. In the case of the latter, the South Austin Jug Band reached wildly popular success from their self-titled, debut album in 2004, follow-up, “Dark and Weary World,” in 2005 and 2008’s epic release, “Strange Invitation.” From this quick rise to fame, especially here in the Capital City, the founding members, Matt Slusher, James Hyland, Willie Pipkin, Warren Hood and Will Dupuy, came to a tipping point, both in their creativity working together as a cohesive unit, as well as each seeing an increase in side music projects. Some thought the bluegrass maestros would never find themselves performing together, especially the band, themselves, but a few months back, the guys caught the urge to “recapture the era when their music was still fresh and new and fun” and scheduled a reunion show at Threadgill’s South here in downtown Austin. Needless to say, the pride of “The Y” here in ATX, otherwise known as Oak Hill, did not disappoint during last night’s tremendous performance. 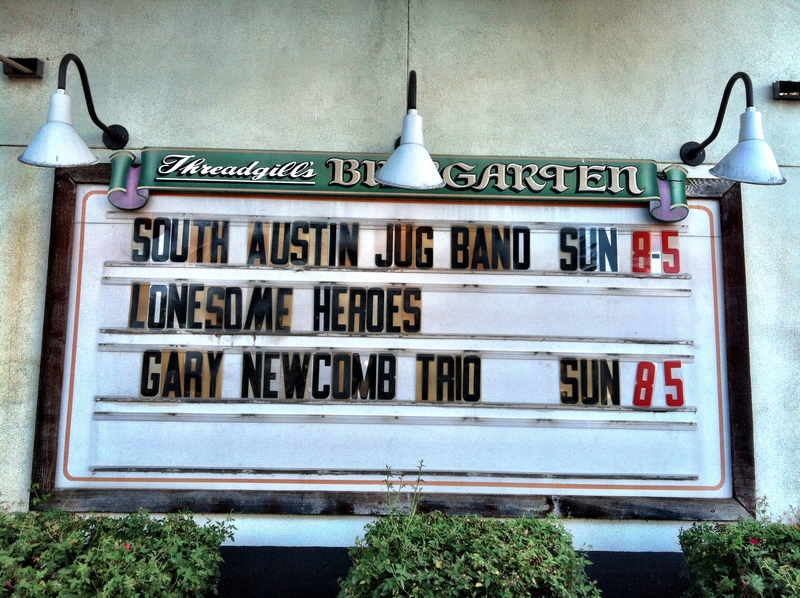 Before a packed house of roughly 700-800 within Threadgill’s great outdoor biergarten, the original members of SAJB were able to ignite the energy that first put them on the map in these parts. Keeping to a set list that included many nuggets of awesome from the band’s initial two albums, including a fantastic rendition of “Long Journey Home,” the quintet also threw in a few surprises, the best being a near-flawless cover of the Grateful Dead’s “Friend of the Devil.” These guys are quite simply about as musically sound when playing together as they come. Phenomenal. One can only hope that the fellas will reconsider their future and leave the possibility open for, not only, additional future shows, but the great potential of new material down the line. So much ridiculous talent, so little time to share. Bring it on back, boys. We miss ya! « The Skies Of Texas Are Upon You! Absolutely fantastic last night.. 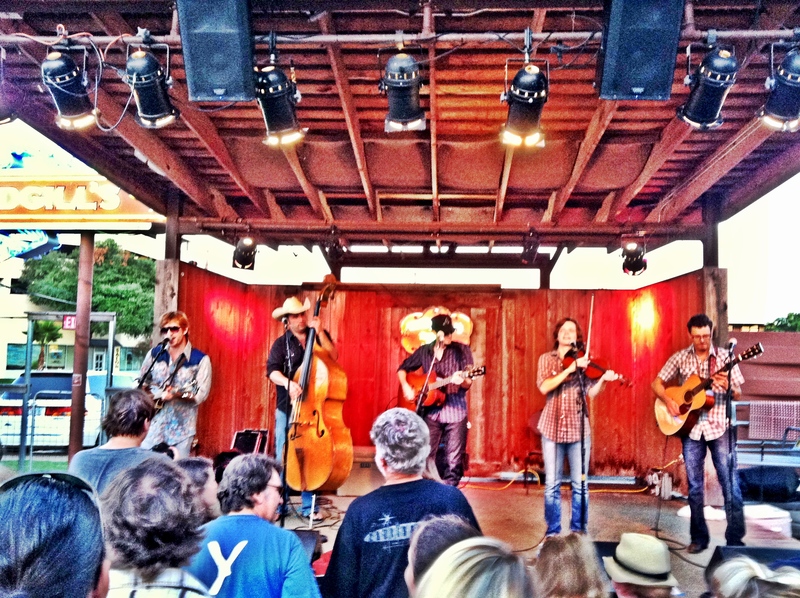 They Rocked’ the Yard off at Threadgills.. The crowd was packed over.. Yeah.. Come back soon South Austin Jug Band.To even show their diverse ability – nearly at end of show, they all swaped out instruments(jammed on each others).. And were instrumentally great..As you say..We hope they get back real soon.